SkyWest is home to countless caring and considerate employees. 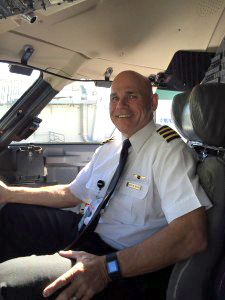 Recently, three stories about some of our incredible crews were shared with us that illustrate the type of people who make up the SkyWest family. 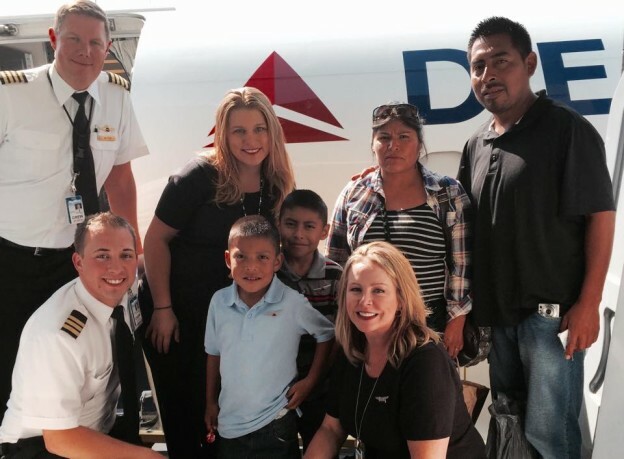 On a recent trip in Los Angeles, Salt Lake City based SkyWest Flight Attendant Jill Roundy noticed a small detail about one of her young passengers. SkyWest Crew (Flight Attendants Jill Roundy and Lacey Finnell, First Officer Aiden Eye and Captain Charles Butler) with the family. The young boy and his family were on their trip home from fulfilling his wish to go to a concert of his favorite artist. Jill and the rest of her crew took the time to make the family’s trip special, giving them an extra tour of the aircraft after it landed. The little boy was thrilled at the opportunity and after looking into the flight deck, he asked Jill if he could sit in the captain’s seat. Captain Charles Butler was happy to oblige and stepped out as First Officer Aiden Eye took the time showing this young passenger the controls on the flight deck while explaining their functions. A brave six-year-old girl was having a tough day. As her family arrived at the airport in the evening, they made their way to the shuttle for a ride to the parking lot. As the young girl boarded the bus with her parents, noticing there were no open seats, Palm Springs based First Officer, Joe Myers, stood up to give his seat to the mother and daughter. The girl has lost all of her hair as a result of cancer treatments. During the shuttle ride, a little boy made a comment to the girl about her lack of hair, and she began to cry. As the family got off the bus, Joe walked over to the little girl and told her she was the prettiest little girl he had ever seen. He then took off his hat and showed her his own bald head, telling her she was very special. Joe made her night when he removed the wings from his shirt and pinned them on her, telling her he was making her an honorary pilot. Joe made the girl laugh when he jokingly told her, “Boys are made of cotton and are rotten!” before thanking the parents and walking away. The parents were in tears and so moved by Joe’s compassion and love toward their daughter that they went the extra mile to contact SkyWest and share their gratitude for First Officer Myers. That night the little girl wouldn’t part with the wings and slept in her shirt with the wings safely secured on it. Even now, she will not take them off. While boarding a flight in Seattle, Tiffany Miller, a Salt Lake City-based flight attendant, noticed one impeccably dressed young woman. The passenger explained that she flies a lot but just passed through a storm that had “terrifying turbulence.” Tiffany told her that she too had just been through a similar storm, but that she anticipated that everything was going to be fine on the short flight and that she was in very capable hands. Tiffany then went up to the flight deck to find that Captain Carl Wager had witnessed the exchanged and was wondering what he could do to help. He offered to go back and talk with the girl if she would find it reassuring. The young lady, still full of fear, accepted the offer. 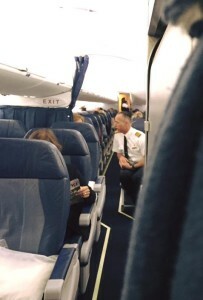 Carl went back to her seat, taking up precious moments needed to stay on schedule, to let the passenger know that he understood her fears and was aware of his tremendous responsibility to keep everyone safe.